There was a time when award-winning Canadian author Esi Edugyan had a difficult time finding a publisher. But when her novel Half-Blood Blues came out, it was heaped with awards. 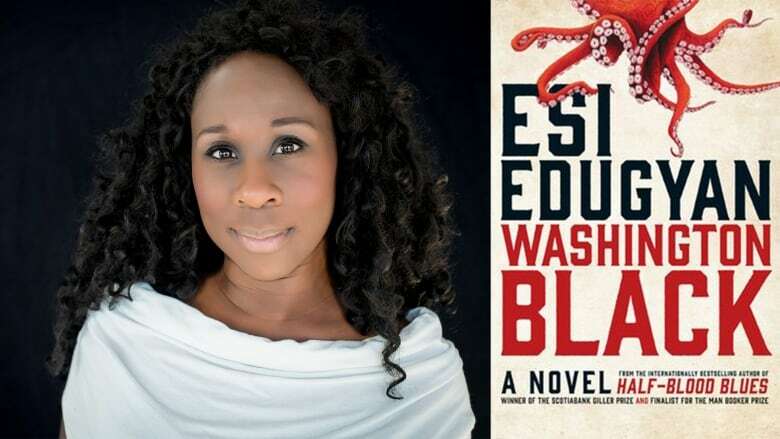 Follow that with the rave reviews Edugyan is receiving for her latest novel Washington Black — a finalist for the Man Booker Prize and the Scotiabank Giller Prize — and it hard to believe she ever had trouble. The book is named after its central character, 11-year-old slave George Washington Black. He lives on Faith, an early 19th century Barbadian sugar plantain so brutal that slaves kill themselves to end their abuse. "Every single brutality depicted in the novel is from the historical record," Edugyan told The Sunday Edition's host Michael Enright. That research, while difficult to do, was important for Edugyan. "I felt I had to depict that as faithfully as I could because people did live through that," she explained. "These were real lives that were lost, and this was real pain that was caused." While poring over old slave registers throughout the Caribbean, Edugyan noticed something. Slaves were named after "great" Western men, like Roman warriors and senators. She said the naming conventions slave owners used were meant to mock, and were "a kind of psychological warfare against the slaves." "It's a way of looking at what many planters would have seen as a very pitiful specimen and giving it this grandiose name," she explained. "I say it because the people would have been seen to be a little more than chattel." In her novel, George Washington Black understands that his name was given to him in ridicule, so he doesn't call himself George Washington. Instead he goes by just Washington or Wash.
"It's a way of subverting that. He's claiming it for himself," Edugyan said. "For him to take that and go out into the world and understand that he is more than his fieldwork, to understand that he has gifts larger than he could have ever imagined, and he has things to offer the world ... this is huge for him in terms of forming his identity." "I think that certainly for someone like me, the idea of home has been a life's work, or a life's project. Something that I've constructed and deconstructed and re-contructed again as I walk through life," Edugyan said. Like Washington, she spent much of her youth wandering in search of a home. "There are aspects of this book I think that mirror [my] experience of travelling the globe and looking for a place where you feel, you just feel right. But then not finding it," she said. Oddly, it was while she was making her way through Europe that she realized she was, indeed, "profoundly Canadian."